On the Python list there was this discussion about real numbers¹. Chris Angelico made the statement (more or less) that floats are real and reals are mythical. Someone naturally objected to this paradox. There have been notable mathematicians in the last 100 years who have said more or less exactly what Chris is saying: The set ℝ is nonsense. In fact these fights are the very reason that CS came into existence. 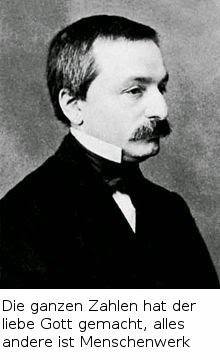 Around 1880, Kronecker and his student Cantor were working together when Cantor started off on 'set-theory'. For a while Kronecker was bemused with the direction of his (favorite!) student. But he soon found it unacceptable and started disagreeing with Cantor, first privately then publicly. "The Good Lord made the Natural numbers. All the rest is the work of man"
He was specifically implying that things like ℝ are just nonsense. At that time almost all mathematicians were Kroneckerians. "This sir, is not mathematics, its theology!" A couple of generations later things had turned. led by L.E.J Brouwer, who said that the other mathematicians who they called 'Platonist' (which derisively signified mystic after the cave allegory of Plato) were being ridiculously loose and + sloppy in talking about infinity as though it exists. If the questions about mathematics could be finitistically (ie mechanically) solved, then the constructivists' charge (of mysticism) could be kicked out once and for all. But then Gödel showed that the dream of a complete and consistent math was a pipe-dream. 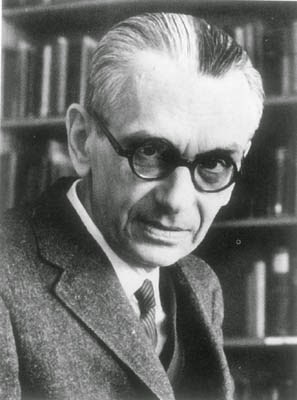 From a technical perspective, Gödel used only one data structure – numbers – which could get humongous. Turing instead used strings – far cleaner and easier to work with³. At the science level, Turing – limits of computability – is consistent with and elaborates Gödel's limits of logical systems. In fact the proverbial difficulty of Gödel's theorem is taken to be evidence that its deep science. This may be true to some extent. But its also true that its bad technology. To see how CS-technology can simplify the classic math ugliness of Gödel's proofs see Hehner. The philosophical cross-currents are the most interesting. Above Ive talked of the antipathy between the constructivists Kronecker, Brouwer and the 'classicists' Cantor, Hilbert. 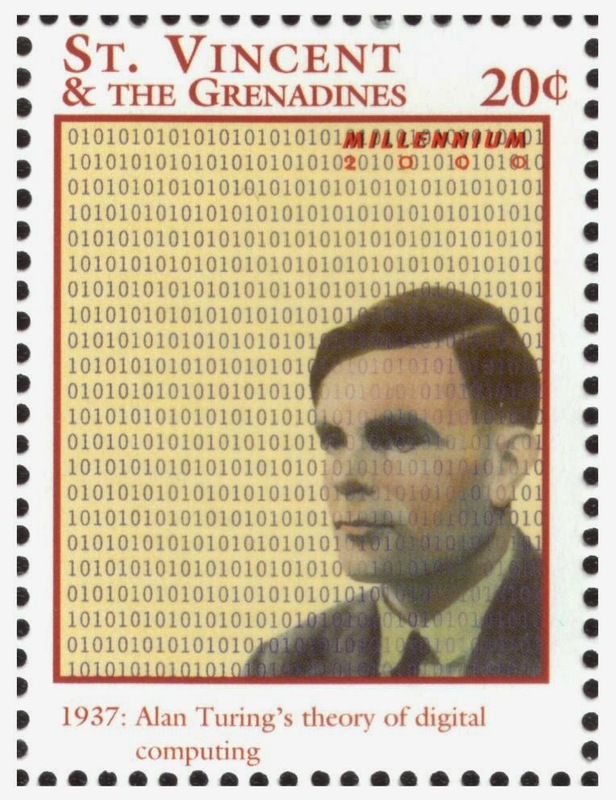 Even more interesting are the contrasting outlooks of Hilbert, Gödel, Turing. 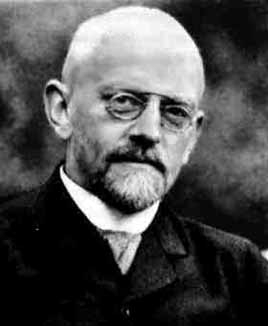 Hilbert regarded himself as a classicist but did not see wrong in wishing for a mechanical way of doing math. Gödel, a true-blooded romantic, hated the thought, but was too timid to say so. It was easier for him to create a 'trojan-horse' – his theorem – to destroy the edifice Hilbert dreamed of than to say so directly. 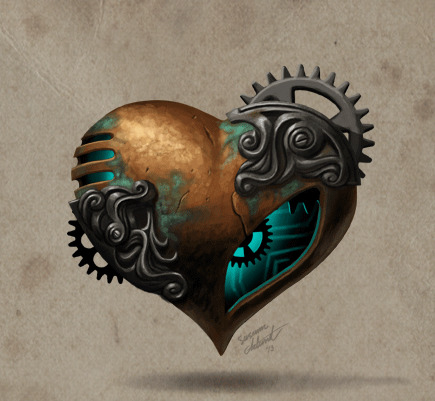 Turing had the classic scientist/engineer love for mechanism. In short CS is constructive – or to use the modern word, algorithmic – math. An entertaining and longer account by Yuri Gurevich. Particularly note the Polya-Weyl bet. In python integers (or natural numbers) exist in different guises. There is the builtin type int. In what sense do integers exist in the type int? Where for example do these numbers exist when ints is never called or called and immediately discarded? Where do the characters of a book that is not being read live? Still more concrete is their existence in the finite int-list [0,1,2,3,4]. was what created CS, most programmers have a more nuanced philosophy than professional philosophers. For the logician/philosopher exists(x) is boolean-valued. For the programmer it tends to be more real(!)-valued. And in that the computer scientist of today is curiously closer to the millenia-old Plotinus, Taoism, Upanishads etc than to the scientists of the last couple of hundred years. Strangely the attempt at expurgating all form of mysticism from mathematics, mysteriously resulted in making mysticism common fare among computer scientists! Mysticism⁴ — Neither seem to have any compunctions about that. Mechanism — Gödel, the die-hard romantic, hates mechanism. Whereas Turing's basic instincts go directly counter to Gödel's theorem. Turing evinces the most weird combo – believes in souls, loves machines and wishes to put the soul into the machine – after 300 years Descartes comes full circle! However the Gödel-theorem is inviolate… Now what??? If Hilbert's program will not fly maybe a programmable machine will? As it turns out the programmable machine turns out to be the killer idea that creates much of today's world whereas Hilbert's program, Gödel's theorem remain as little notes in the margin that most of today's generations hardly know about. 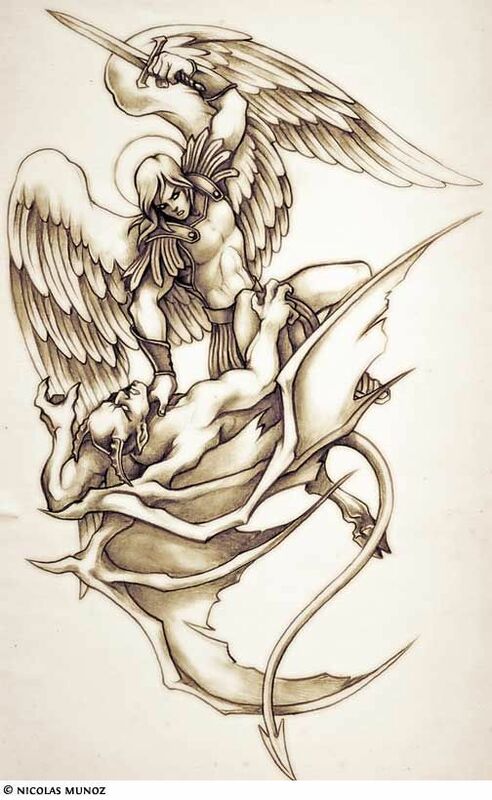 "Break each others' heads about how many angels can dance on the head of a pin"
therefore much of the REAL World around us exists as it does (for better or worse) including my (and I guess your my dear reader's) degree and job. REAL WORLD? or Virtual Worlds? ² There's been some controversy around this statement. My favorite is the snickering of Wittgenstein: If one person can see it as a paradise of mathematicians, why should not another see it as a joke? ⁴ O yeah in western civilization it is customary to euphemize 'mysticism' as 'platonism' — a rite that looks a bit mysterious to us clueless orientals! Real numbers are not real. Stick with rationals, in which you can get as arbitrary picky or as large as you will ever like. And so √2 is completely meaningless?